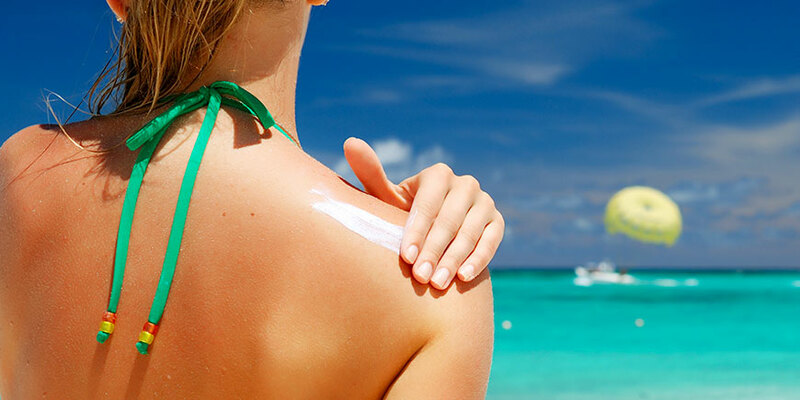 The first line of defense against skin cancer starts with you. Examine your skin on a regular basis for signs of skin cancer and consult a dermatologist if you notice anything suspicious. These simple steps can help ensure that skin cancer is diagnosed in its earliest, most treatable stage. Below you will find information about how to examine your skin and what signs to look for. Look at the backs of your legs and feet, the spaces between your toes and the soles of your feet. Is varied from one area to another; has shades of tan, brown or black; or is sometimes white, red or blue. Melanomas usually are greater than 6mm (the size of a pencil eraser) when diagnosed, but they can be smaller. For a list of all of our skin care and sun protection products, please visit our Aesthetic Center.